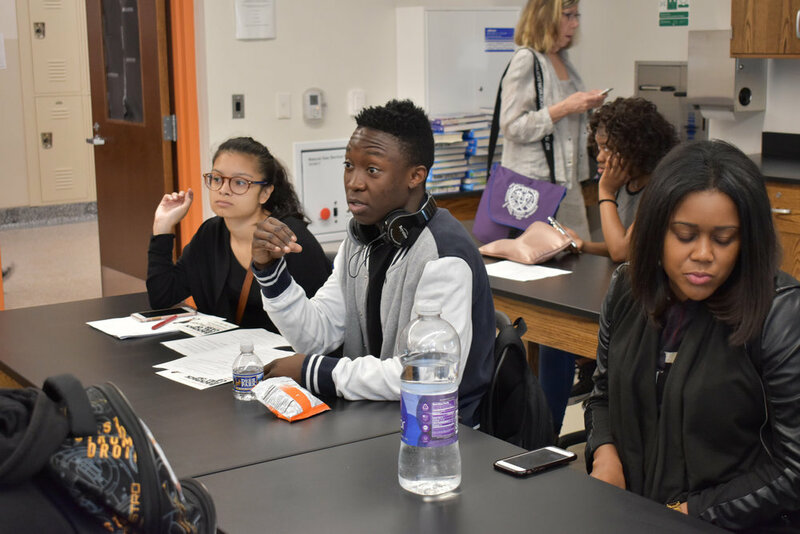 Teaching for Change partnered with Filmfest DC: The Washington, DC International Film Festival for a sixth year to spread the word about the international film festival and to bring filmmakers for several films into D.C. classrooms in April. This visit was a reminder of how important it is for young people to see themselves in print and film. In early April, students at Columbia Heights Educational Campus (CHEC-DCPS) viewed the film Ilse about an undocumented student in Chicago. Their teacher, Erika Montes, had students prepare booklets about the film and their own experiences as immigrants in preparation for the visit by fimmaker Leah Varjacques. The CHEC students asked questions and described the profound impact of seeing the film. Here are photos and video clips from the visit. Click image to see full album. The filmmaker also met with students at Cardozo High School. Students in the class came from 12 countries and spoke five languages. Many questions were asked about the difference between documented and undocumented status and the implications for employment, education, and more. Ilse can be viewed online at The Atlantic. Students and teachers at Roosevelt STAY High School welcomed Backpack Full of Cash filmmakers Sarah Mondale and Vera Aronow. They explored the differences between public, private, and charter schools and talked about the practices in so-called “no excuses” charter schools. The students were inspired to see the activism of the young people from the Philadelphia Student Union who were profiled in the film. One student said, “How do we start something like that? We need a group like that in D.C.!” The visit was coordinated by world history teacher Shaka Dickerson. 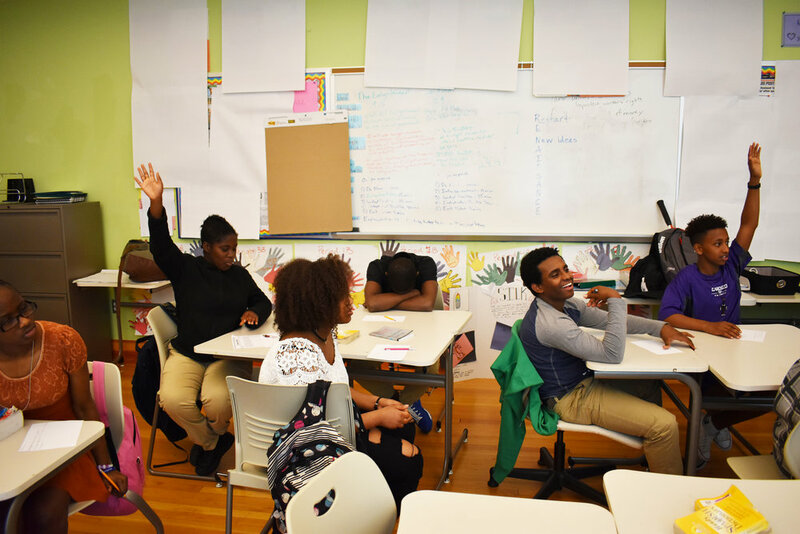 These are just a few of the thought-provoking questions that Damani Baker, director of The House on Coco Road, asked Mrs. Karriem’s tenth grade world history students during his visit to Roosevelt Senior High School (DCPS). The students, who finished a unit on the Cold War before seeing the film, showed their critically thinking skills as they answered Baker’s questions and asked their own questions about storytelling, filmmaking, and more. 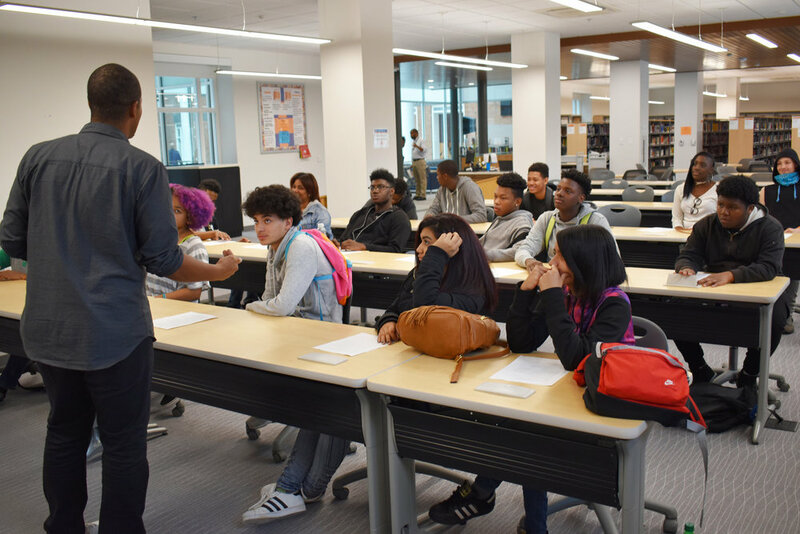 The visit was coordinated by the Washington, DC International Film Festival and Julian Hipkins III, Roosevelt’s Global Studies Coordinator. Photos and documentation by Teaching for Change. 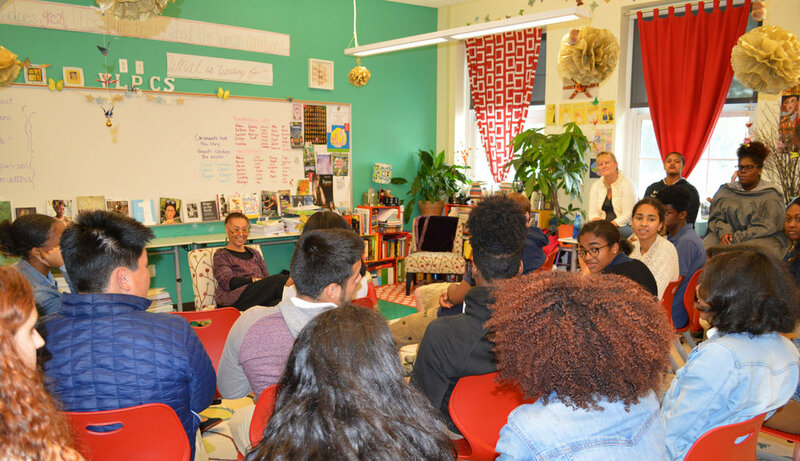 Filmmaker and SNCC veteran Judy Richardson spoke with students in Laurel Seid’s English class at Washington Latin Public Charter School. Over the course of the semester, the students viewed a number of films on the Civil Rights Movement. They talked with Richardson about her role in SNCC and as a filmmaker. They also talked with her about the filmfest documentary, Two Trains Runnin’. While not one of Richardson’s films, she has spoken on two panels about the film. During the discussion, Sydney Combs described the role of the Freedom of Information Act (FOIA) in giving journalists and citizens access to U.S. government documents. For example, journalist Brandon Smith used a FOIA to access the video that revealed the police murder of 17-year-old Laquan McDonaldin Chicago. Combs then asked students to think about what information they might request with FOIA.